Yesterday, I was delighted to receive two glowing reviews on my novel. A chilling yet inspiring tale beautifully told. This is no ‘Red Dawn’ or ‘Equilibrium’. Yes, while the freedom fighters are more than willing to use force and violence to achieve their means, it’s not the preferred method. In a sense, this answers the question, and quite well — how would one put a nation back together again, should it come to arms? Read more of the review here. By the way, Mr. Humphreys gets instant cred from yours truly for even knowing what Equilibrium is, let alone referring to it in proper context. Personally, I enjoyed the movie very much, but was always bothered by an abrupt "we won, now what?" kind of ending. It's not uncommon to dystopias, and is definitely something I wanted to avoid in my novel. It sounds like I succeeded, at least in that regard. 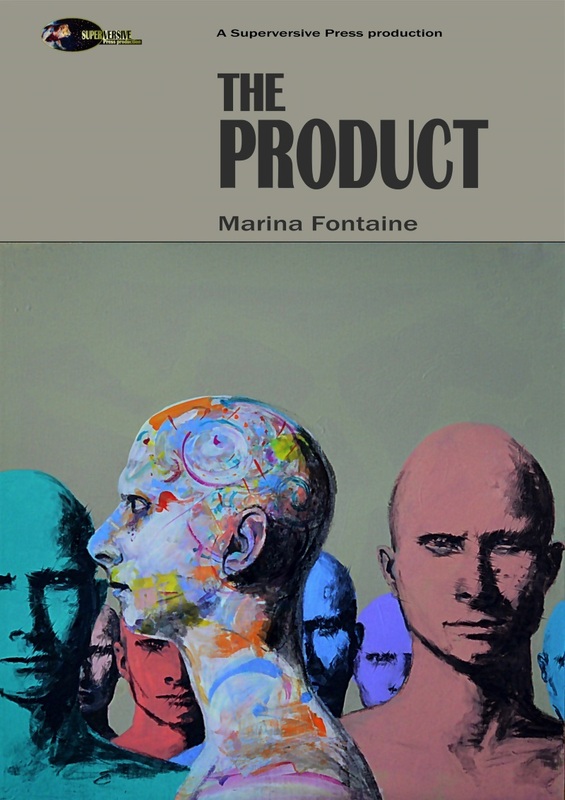 And now, to quote Scott Adams, "Buy my book! It has words!" NOTE: The following is a response to “A Day in the Life of Joe Republican,” meant to demonstrate the usefulness of Progressive policies in everyday life. The original is in italics, and my “re-write” is in bold. Joe gets up at 6 a.m. and fills his coffeepot with water to prepare his morning coffee. Joe gets up at 6 a.m. to prepare his morning coffee. Then he remembers that he doesn’t have any real coffee. All the coffee beans are now Free Trade and Organic, so he can’t afford to buy them anymore. He measures out the instant coffee powder into his mug and fills it with water. The water is clean and good because some tree-hugging liberal fought for minimum water-quality standards. The water trickles very slowly into the mug because his kitchen is equipped with low-flow faucets, as per the new regulations. After a couple of minutes, the mug is full and he heats the coffee in the microwave. With his first swallow of coffee, he takes his daily medication. His medications are safe to take because some stupid commie liberal fought to insure their safety and that they work as advertised. With his first swallow of coffee, he takes his daily medication. It’s not as effective as the one he used to take, but FDA banned the medication that worked for him because it could cause miscarriages. Joe tried to explain to his doctor that he was not in danger of a miscarriage, but there was nothing to be done. All but $10 of his medications are paid for by his employer's medical plan because some liberal union workers fought their employers for paid medical insurance - now Joe gets it too. The medication used to only have a $10 co-pay, but now Joe has to pay $50 because the union negotiated the new insurance plan that covers in-vitro fertilization for female employees, and the cost had to be made up by reducing pharmacy coverage. He prepares his morning breakfast, bacon and eggs. Joe's bacon is safe to eat because some girly-man liberal fought for laws to regulate the meat packing industry. He prepares his morning breakfast, a bowl of organic oatmeal. He misses his eggs and bacon, but a carton of eggs is $10 at his local supermarket because the eggs came from free range chickens who only eat organic corn. Bacon is illegal in his town because it offends his Muslim neighbors. In the morning shower, Joe reaches for his shampoo. It doesn’t clean his hair very well, but it’s made of bio-degradable vegetable based ingredients that are safe for the local wildlife. He takes care to finish the shower after 2 minutes to comply with the city water restrictions. Joe dresses, walks outside and takes a deep breath. The air he breathes is clean because some environmentalist wacko liberal fought for laws to stop industries from polluting our air. Joe dresses, walks outside and takes a deep breath. He coughs from inhaling the car exhaust fumes. His street is now much more crowded with cars because one of the two lanes is reserved for bikes. It’s the middle of winter so no one is riding a bike, but the law still applies. He walks to the subway station for his government-subsidized ride to work. It saves him considerable money in parking and transportation fees because some fancy-pants liberal fought for affordable public transportation, which gives everyone the opportunity to be a contributor. He walks to the subway station and sticks the Metro Card into the slot. It’s rejected because the fare just went up again and he needs to re-charge the card more often. Luckily, he has plenty of time because the loudspeaker just said something about a delay, and judging by the crowd on the platform, he may not even get into the next train anyway. Joe had to give up his car last year because the new 35% parking tax at the garage. At least he doesn’t have to worry about gas prices going up. The thought energizes him enough to push his way through the crowd and make it inside the train just before the doors slide shut. Joe begins his work day. He has a good job with excellent pay, medical benefits, retirement, paid holidays and vacation because some lazy liberal union members fought and died for these working standards. Joe's employer pays these standards because Joe's employer doesn't want his employees to call the union. Joe begins his work day. He’s an excellent worker, but only received a 2% increase last year because he reached the top of his pay grade and can now only get inflation adjustments. His usual partner has been on paid leave for the last week to take care of a sick pet. The union fought very hard for that concession, and Joe was happy when they won. Now he’s not very happy because he needs to cover the station on with a less experienced employee, but it’s worth it to have the union benefits for everyone. Joe is home from work… He turns on a radio talk show. The radio host keeps saying that liberals are bad and conservatives are good. He doesn't mention that the beloved Republicans have fought against every protection and benefit Joe enjoys throughout his day. Joe is home from work. He turns on the evening news. The news anchor keeps saying that conservatives are bad and liberals are good. He doesn’t mention that the beloved Democrats have passed laws and regulations that caused many of the difficulties and sacrifices Joe faces throughout the day. Joe agrees: "We don't need those big-government liberals ruining our lives! After all, I'm a self-made man who believes everyone should take care of themselves, just like I have." Here it comes. My obligatory Milo post. The Internet is full of them. Here are a few of my favorites that I think cover the situation very well. If your first inclination is to run away screaming, you probably need to read at least a a couple before moving on to the rest of the blog. To start, one of the the more level-headed articles from Dystopic. A good summary of facts, including the actual video. A short piece from John C. Wright is a good companion because it explains more about the mechanics of the editing that was done to the original source. (More from Wright below). Still don't care? Sarah Hoyt tells you why you should. Finally, Moira Greyland Peat offers a unique perspective. A hard one to read because of the subject matter, but necessary. Assuming you're still here, a few thoughts that have been bouncing around my head for, oh, a few months now. Why does modern storytelling standard demand the heroes to be flawed? And if that is the case, should we not be more tolerant of flawed heroes in real life? Flawed heroes are generally more interesting, in part because they're more likely to fail and thus provide us with more suspense. Since we the readers are also flawed, and since we have been conditioned to seek out fictional heroes who are "more like us," most of us have developed this preference. A redemption-based story arc, that by definition demands a flawed protagonist, is one of the most enduring, and shows no sign of falling out of fashion. On a more disturbing side, both Hollywood and traditional book/comic publishing have become enamored with undercutting the traditional hero archetype, bringing us anything from Superman the Deadbeat Dad to the "terrible people doing terrible things" story lines, of which The Game of Thrones is perhaps the most successful. The second question is more puzzling. If our artistic preferences indicate that we have internalized the fact that no perfect heroes exist, and art is supposed to represent the Truth, why are we so blind to it in real life? For that matter, why are we so quick to make heroes out of athletes and celebrities, but overlook those who are actually working, and taking risks, to make a difference? I think the rather tragic truth is that we're desperate for true heroes. But we have been told over and over they don't exist. So in one of those cruel ironies beloved by storytellers, we eagerly fill the void with remote and glamorous celebrities, while gleefully tearing down those among us who might be admirable but are proven on close inspection to be imperfect. It confirms our pre-conceived notions. We tell ourselves there wasn't much worth appreciating in the first place, and we go on our no-so-merry way on the road that leads, not to finding better ideas and people to admire, but to the dead end of nihilism. To be sure, real heroes are not immediately obvious. Sometimes it takes years, even generations, to see the full extent of a person's sacrifice and achievement, if that ever happens at all. But what I ask is, when you do see a spark of the heroic, even when it's wrapped inside a less than stellar package, do take time to notice and appreciate it, even if only for a while. Disappointment is always a risk, in fact almost an inevitability. Yet the alternative of retreating into a permanent state of cynical dismissal, of accepting that the days of heroes are forever behind us, is not one worth contemplating. And now as promised, more from John C. Wright. The quote below had me giggling throughout the day, but it's not a happy laughter. There are some people who need to read this one and realize that this is exactly how they come across. It isn't pretty. Is he [Milo] a shameful and terrible spokesman for our beautiful Church? Yes, indeed, I fear he is. When I get to heaven, I will certainly chide Saint Mary Magdalene the whore and St. Matthew the tax-gathering collaborator, wag my finger under their noses, and demand to know why persons of doubtful morals speak up for Christ, embarrassing the righteous and the just. Culture War and the Cost of Silence: a Sequel. Only a couple of days after a blog post regarding the choices we on the Right have to make about speaking up in a potentially hostile environment, I came across this article in New York Post. At first glance, the story of Chadwick Moore, a gay journalist who saw his life fall apart as a result of, essentially, doing his job too well, is tragic. Losing friends over politics is hard enough, as many on both sides of the left/right divide had discovered over the last several months. How much harder must it be for someone whose social circle is already limited? In this case the circle in question is the gay community in New York City, but the particulars are almost irrelevant. In this day and age, politics invades every part of life. As the saying goes, you may not be interested in politics, but politics is interested in you, and boy oh boy, is it ever. Whether you're a gay man who just wants to grab some drinks with a friend, a geek author looking forward to attending a con, or a suburban mother trying to have fun on a Girls' Night Out -- the danger of being condemned and shunned for a single show of non-conformity seems to lurk around every corner. But wait, you might ask, doesn't the article, and many similar, less newsworthy examples, argue precisely for the silence, not against it? After all, who wants to suffer such terrible fate? Ah, but if you read to the end of the story, you will discover that it has as much of a happy ending as one might expect outside of a feel-good Hollywood movie. I know, those are hard to find nowadays, but stick with me here. Having been forcibly ejected from his comfortable bubble of "friends" who liked only their perception of him, not who he really was, Mr. Chadwick had to look beyond. He opened up to new ideas (Ann Coulter, of all people? ), re-connected with his Iowa farmer father, and even, in defiance of a strange post-election phenomenon among Leftists, started dating again. A Republican construction worker. No matter what your views are on homosexuality, this has to make you smile, just a little. And so, to expand on my prior comments about the cost of silence, there is one that I overlooked. The biggest cost, when it comes down to it, is ignorance. My husband, upon reading the story, compared Mr. Chadwick's experience to that of someone taking the red pill in The Matrix. Believe it or not, unlike myself or other politically inclined Internet dwellers, he had never heard of "re-pilling" being a popular expression in certain circles. It truly just came to him as the best analogy, and he is, of course, correct. To be clear, I don't encourage anyone to endanger their livelihood. Heck, nowadays even physical safety is not a given, what with the Soros thug brigades prowling the streets looking for "Nazis" to assault. But IF you can, WHEN you can, it might be a good idea to find out which parts of your life are solid, which of your friends are real, and what else could possibly be out there. Otherwise, you're just stuck in an artificial world, vaguely wondering why you can't sleep at night and everything seems to taste like chicken. 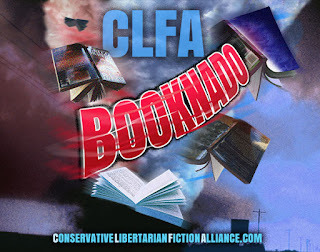 CLFA Booknado: New, Free and Cheap Books from the Good Guys! 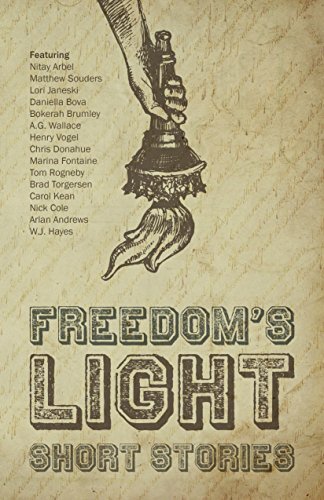 Another month, another great list of New Releases, Freebies and Sales from members Conservative-Libertarian Fiction Alliance: just in time for Valentine's Day. Surprise your special someone with a gift of reading, and grab one for yourself as well! Amazon purchase links can be found on the CLFA Website. The third book in the Dragon Award nominated “Love at First Bite” series. It will take every bit of skill Nancy and Erica have to track down the evil genius behind the disappearances. Defeating them will be a different matter entirely. In a dystopian, post-meltdown United States, a cynical, aging gunfighter receives a letter from an old friend in desperate need of help. He must fight his way across cartel occupied territory to find her. For those who missed today's live chat, the replay is below. Romance is a part of life, so naturally it plays a large part in fiction of all genres. Whether you're a writer, a reader, or just someone interested in cultural trends, this chat has something to offer. Among the topics: how cultural/political changes affected the way romance is portrayed in fiction; thoughts on writing male and female characters; including romantic subplots in non-romantic stories; rise of fan fiction and "slash" fiction and many others. In addition, participating authors discuss their own works as they relate to the topic of romance. Thanks to Jasyn Jones (a.k.a. Daddy Warpig) for hosting the chat and L. Jagi Lamplighter Wright for moderating. Jon Del Arroz is an online friend, a science fiction author, and as of very recently, a conservative culture warrior. His story is interesting in part because it's so very common. Many conservatives spends years, even decades, trying to fit in, form relationships and build professional reputation in a Leftist-dominated environment by keeping a low profile about their beliefs. Sometimes, they do it out of politeness, and sometimes out of fear of confrontation and retribution; often it's a combination of the two. There are, after all, valid reasons not to antagonize friends and co-workers, not to jeopardize valuable contacts and relationships over something as seemingly ephemeral as political philosophy. For most interactions, from dating to interviewing for a job to attending social events, we are advised to keep our politics private, especially if we suspect our views are in the minority. And so we stay silent. Oh sure, we vent in private to our very close friends or significant others (unless of course we followed the advice above so well, that even those closest to us are not aware of what we really think). Sometimes we even make up anonymous accounts on social media or join secret chat rooms where we can be ourselves. But as far as the rest of the world is concerned, we are "the good guys": mainstream, respectable, open-minded. It's all good. Except silence comes at a cost. As I mentioned in my old Censorship blog post, there's always the nagging doubt of "what if." How would things be different if we hadn't stayed silent? What new friends could we gain? What battles, presumed lost before the fight had even began, could we win? How many people out there are just like us, living in silence, thinking they're all alone? Unless we speak up, all we will ever do is guess and wonder, and watch little pieces of who we are flit away as we pretend that conformity is our only choice. Fortunately, there are some in our midst no longer willing to bear the subtle but very real cost of being muzzled. And every time one of them comes out into the light, countless others are encouraged to do the same. This is the only way we can prevail, but prevail we will. And now, without further delay, here's Jon's story. It's not fiction, but a good read nevertheless: disturbing yet inspiring, and worth sharing with a friend. The Science Fiction and Fantasy writing and convention scene is one of the worst SJW converged subcultures. While Hollywood promotes extreme perversion and hedonism, they don’t push nearly as hard as SF/F literary groups when it comes to the intellectual aspects of identity politics. My name is Jon Del Arroz, I write Science Fiction, and this is my story. Read the rest of the post at Vox Popoli. To support Jon, you can purchase his book here.